It's a "valv cam sensor error". Move the printhead to the center. Disconnect the printer and check on the right: is the purge unit ok ? No peace of paper ? Hold down the "Resume" button (triangle in a circle) for 15 to 20 seconds. When the cartridge is in the center, close the door. Open the lid and allow the ink cartridge carrier to center itself. Looking to the right, you will see a row of white rollers behind the carrier. At the end of the rollers there is a small, clear piece of plastic that sticks up. Take a small piece of a paper towel and wipe all of the ink off this piece of plastic. When that is clean move on to the ink pad. About 1 inch, towards the front of the printer from that piece of plastic, is a small square, about 1/2 inch per side, that is a small foam pad. This is where the excess ink is collected. Take a piece of paper towel and press into the foam. Do this until the paper towel is no longer collecting ink. Close the lid, turn off the printer then turn it back on. Remove casing et look for the microswitch that is being pressed by one of the purge unit cams. This was the best suggestion on the net. Thanks! I had tried all the others but step 3 fixed my printer! OMG! I really want to kiss you! Thank you so much it worked!! By just closing when the cartridge was in the middle!! I a still struggling .. I have tried all these now .. I am not sure where the purge unit is on my mp 620. BTW are these fixes fairly permanent or will they reoccur periodically. Number 4 worked for my MP550. Thankyou. I was nearly at the point of throwing the darn thing away. Number 4 worked!! I was about to throw the damn thing out the window. Why doesn't the manual tell us how to deal with this? OK none of this worked the error keeps coming back. Any further suggestions?????? I had the same problem with my MP630. These tips worked for a while, but the problem came back. So I broutgh it to a mechanic, and he said that the purge unit is broken and has to be changed. Awesome!!! Great instructions in #4. Qtips and TP did the trick. Thanks! hey nothings working its a mg5250 any othe suggestions? I've tried all of these today and for a moment I thought option 4 would work. I've contacted Canon directly now to see what they say. My printer is the ip3600. I have a IP 4850 with 6C10 error. None of the steps above fixed it. Anything else i can do to solve this problem? I don't normally post on these things but THANKYOU! Solution 4 worked for me, even though Canon said there was nothing I or they could do, I'd have to get it repaired by one of their expert technicians. I had this problem with MP640. Completely dismantled and cleaned out the ink waste absorbers and a block ink waste pipe underneath the transport mechanism. After re-assembly it worked fine for a while. The Error 6C10 re-appeared. Well, the ink portion was still clean, I tried resetting the ink waste counter, all with no change I reasoned that the only other change made during the first clean was to unplug connectors to the logic board. So took off the right hand side panel, remade all connections and have had no problem since. Agreed - #4 worked fine on our iP3600. Just used tissues to clean the plastic to the right of the rollers & soak up excess ink from the foam pads in front of it. Option 2 worked for me. Thanks. Solution 3 fixed it for me, thank you! Solution 3 fixed it for me! Thank you so much for this. Solution 3 worked for me. I've got inky fingers and a working printer. solution 4 worked for me. I actually had to take out the 2 foam pieces, that are actually hard, and wash them under water, larger square piece is actually white, let them dry and carefully put them back in. thank you for this info. i was preparing to get rid of this printer but this was any easy fix. Solution 4 worked for me on my MG6150. I found however it was the two pads on the right (one large,one small) that really needed to be cleaned with paper towels. Fiddly and messy. Very many thanks for this advice. Canon support manual...don't waste your time downloading...no support whatsoever and recommend you get a technician. Thanks number 5 worked for me. I smashed the printer outside and bought a new one. @Dutchy500, you save my life! Solution 4 worked, with Melissa Blacknick's method, i.e., running water over the 2 foam pieces and drying. Also cleaned the clear plastic wipers with q-tips and alcohol. Printer works again! I and my MP540 thank you very much - solution 4 worked this time. The solution 4 worked fine for my MP640, but I had also to clean the space between the tanks of the foam pads and the small white movable part opposite to the wiper blades. Thank you very much to the providers of these solutions. Thanks for your great advice .I tried it and my printer is now working fine . Thank you, solution 3 worked! Your blog is going in straight to my favorites! Solution 3 worked. T u v m Why on earth is this tip not in instruction book. Not like Canon at all. Solution 4 worked for me. Hope it's not a problem that will come back too often as my fingers are covered with ink!! This problem should never have turned up in the first place if it was built right by Canon. 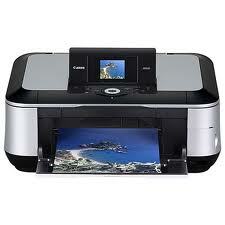 Owners buy these printers/scanners to use when needed, not spend wasted hours of time fixing them. As far as I'm concerned, Canon makes a poor product. I'll not be buying anymore Canon products in the future. We should be screaming our heads off at Canon about this problem, and make them fix the problem at their cost. We, as buyers, should never have to go inside, and clean/repair an item. Screw up the insides, and Canon says that's your fault for diving into it,... too bad, NO warranty. Junk in my books, simply junk. After doing everything suggested, and with everything inside squeaky clean once more, it still comes up with error 6C10. Going to take the fellows suggestion of #5 method of repair, and use an 8 lb. ball-peen Hammer to it, and never buy a Canon product again in the future. My iP4700 is just wasting my time trying to get it going again. It's junk, plain and simple. I'd advise others to do the same, and not waste time trying to get it working again. Thank you so much for your advice about fixing the printer. I was thinking I would have to buy another one, I got all new ink cartridges , kept trying to find info on how to fix the error..
Then when I found this site, and followed the instructions, I thought at last ! The first time I tried , the printer kept making noise as if it was typing, then I got the message again! 6 C10 error. I thought ... One more try ... And Yes ! It worked. Option 4 worked fine for me, used some cotton tips and gentle rubbed them along the plastic sheets at the end of the rollers and soaked up the ink from the pads with a tissue. saved my bacon on an insurance claim! Thank you very, very, very, and so on, much ! Also tried the Youtube link for resetting. It worked not instantiously but after a night and de-conecting from electricity, it was repaired. Tx, where ever and who you are ! So when all the other possibilities run out try this! FINALLY! I've tried everything I could find on the net, and your #4 seemed to work - only after several tries (I removed the "sponges"to clean them). THANK YOU! So the solution is to remove casing and look for the microswitch that is being pressed by one of the purge unit cams. Clean it and you're ready to go. The steps above are merely a temporary measures and I'm surprised they helped anyone. All very helpful info but did not solve my 6C10 error on MP630. Took casing off for good access to absorbers and drive gear, Cleaned out absorbers and wipers and turned drive cog to activate drive cam BUT drive cog would not go down enough to engage with valve cam unit cog. It appeared that the weight of the absorber pad block was greater than the driving force on the drive cog. If I pushed it down further, which lifted the absorber pads, the drive cog would engage with the valve cam cog and the cam would rotate through its cycle before dropping out again. How to get a greater driving force out of the driven cog or to reduce the lifting force required for the absorber pads? What a JOKE! I've tried EVERY possible solution to clear this c610 error message, and I believe Canon built it into the software to force people to buy the newer crap they put out (I'm no technical slouch, and have had the damned thing apart three times - still can't get it to work!). I'm done with color printers - I've had an Epson, which clogged all the time, and now this one - I'm going to a laser printer! Thanks for your tip ! I tried all of the steps involved. I even cleaned the printer head. I think they helped but I still had trouble. In the end I did get it to work again. I did the steps from the You Tube video that explains how to "reset the counter"
The first few times it did not work. On my MP540, it did not turn off. So on this last attempt, after doing all of the other steps, I pulled the power cable to turn it off instead. I then reconnected the cable and powered it up, and now its working fine. Hopefully this extra info may help someone. I need to take apart my mg6250- ANY instructions would be gratefully appreciated. am getting a 6A80 error and i need to get into the right side of printer to really clean out purge unit. have searched the net for hours and only found 1 very poor quality youtube video. please can anyone help? simple solution to an annoying problem! #3 did it for me! Solution 4 is the only one that worked for me: I have an MP640 and didn't know what else to do to get it working!! My MX860 is networked and every time I try to print after printer has been asleep, I get the6C10 error. If I shut off and restart it works fine until it goes to sleep again. Even tried waking it up by doing an ink check via maint tool. It reads ink levels fine, but as soon as I hit print, 6C10. Seems like a pretty generic error. Any ideas? Solution 4 worked for me!!! I was so ready to trash the Canon and buy a Brother replacement. Many thanks! I used a wet napkin to absorb the excess ink from the pad by pressing it down and also cleaning up the plastic slip. My printer model is MG 5370. Solution 5 finally worked for me. Thanks so much for the very helpful advice! Tried everything, cleaned ink from all absorbers and dried them. Still getting error 6c10. Solution 6, Does anyone know where the purge unit micro switch is located. I can't find it to clean it. Solution #4 did the trick. Excellent. Gotcha bookmarked now. Solution 3 worked a charm, thanks! Thanks! Solution #4 worked for me! #4 saved my life, thanks!! This was a GREAT HELP! Comment #5 fixed my MX870. I did the things to fix the 6C10 error and now I have the 6A80 error. Can anyone help? awesome number 3 worked for me!!!!!! Thank you for Solution #4!! I had some trouble with finding the clear bits initially as mine were completely black (so I just started wiping things to the right of the rollers lol). You maybe should note, after I completed Solution 4 I still had to deep clean the print heads. Amazing advice and such CLEAR instructions. #3 worked for me!! 5 + years after this was first posted as well. February 2018 Thanks for the info, solution 4 fixed my MP550. Think I'll fit a paper towel holder to the side so I can regularly clean up. oddly enough solution 3 worked for my Pixma MG6120. Thanks didn't expect it to be so easy. Thank you do much for these instructions because it really helped!!! I am really grateful I found your blog, because I was ready to throw my MP560,printer away because nothing was helping I was losing my patience! !The solution that helped was the third one. I took mine to the shop and the tech did some cleaning. He printed off a copy of something and we thought we had it fixed. I brought it home and nothing but same old error. I found this site and tried solution 4. Cleaned that plastic and foam. Works like new. I guess the tech overlooked that mess over there on that side. Thank you for the tip!